Did you get a new drone for Christmas? 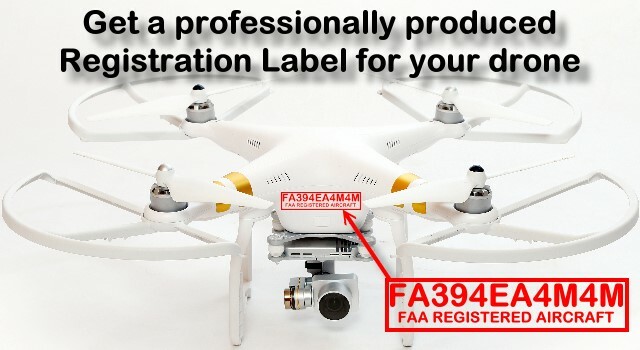 As you know all drones over .55 lbs and under 55 lbs require registration or you could face civil or criminal penalties if you fail to register. OR if you have a printer get some Avery labels and print your own lifetime supply! And that thread was closed, IS There a Moderator in the house? It is posted in the correct category for a merchant. So should be ok.
Also, rather than labeling the airframe - which I have so many that come and go - I've taken to labeling the batteries instead. A battery is always accessible without tools, which meets the FAA requirement. So I don't have to worry about labeling when I pick up a new craft, or when I sell one - or having ugly extra numbers somewhere that I don't want them.